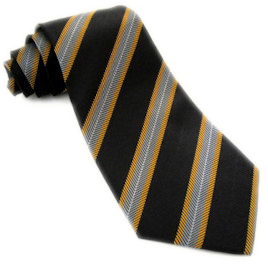 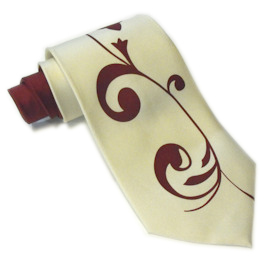 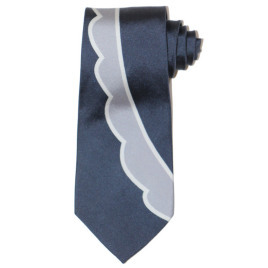 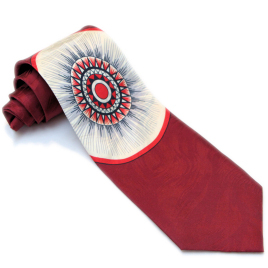 This vintage styled tie features a printed burgundy floral design on an ivory background. 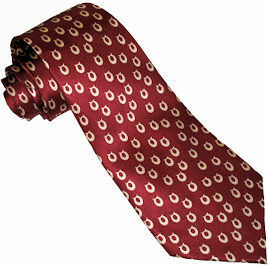 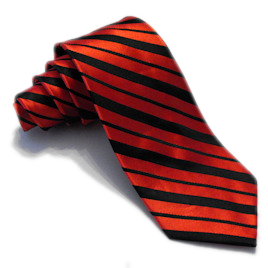 The upper part of the tie is a solid burgundy so, when tied properly, the knot is a contrasting burgundy over the ivory tie. 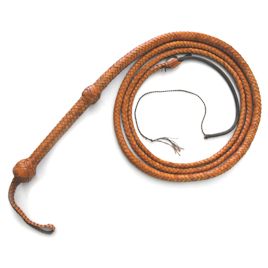 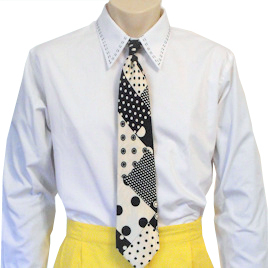 The blade is over 4" wide for a truly vintage look and the standard length (about 58") allows this tie to be worn in both old fashioned as well contemporary heights.